Identity Management Institute® (IMI) is a leading global organization dedicated to identity governance, risk management, and compliance. IMI has been established to help redefine identity management in order to address all identity risks, and support the professionals in the field to effectively collaborate and manage the identity risks facing their employees, customers, and organizations. As such, IMI has created training and certification programs, an active online community and the largest identity theft discussion forum which is comprised of thousands of global experts, as well as, a leading identity theft blog on the Internet. 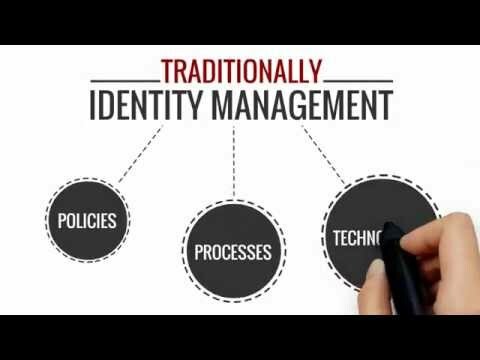 Identity Management Institute® (IMI) is an international organization established to redefine and promote the identity management field, serve identity management professionals, increase identity risk awareness, and provide identity risk management standards, guidelines, certifications, and education. Promote the highest professional ethics and standards for the identity management profession. Our advisors are select volunteers at-large who are certified members of IMI. The advisors provide guidance as needed with regards to IMI mission, objectives and operations. IMI certified members are professionals with certain identity management responsibilities within various business functions, companies, industries and government agencies. IMI has trained and certified employees of great organizations within a variety of industries including financial services, health care, insurance, consumer products, government agencies and other consumer services. Identity Management Institute has global certified members who are experts in a variety of identity risk management disciplines including identity theft, privacy, access management, and compliance. Due to IMI’s global presence and membership, identity management speakers can be engaged for presentations in almost any language and topic of interest. Contact us to engage a professional speaker or inquire about presentation materials. We believe that vision, creativity, and collective contributions are prerequisites for progress and when unique resources collaborate together, ultimate solutions become alive. Through sharing ideas, information, skills, practices, resources, and opportunities, IMI has built an active global community that supports identity risk professionals. Talented organizations which have similar aspirations can partner with IMI to create and offer the best possible solutions. To share your ideas about partnerships or new product and service offering, please contact us. IMI is often contacted by members of the media, regulators, and leading organizations for thought leadership, future risk trends, pressing challenges facing consumers and businesses, and control strategies in the areas of identity management. Contact us to request interviews or information.